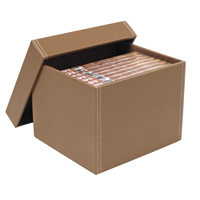 Our leather storage cubes are a firm favourite here at STORE and thanks to the power of happy customer's recommendations, we're delighted to now also offer this pair of top quality luxurious Buffalo leather storage trunks. 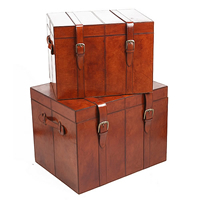 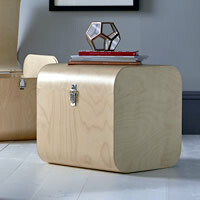 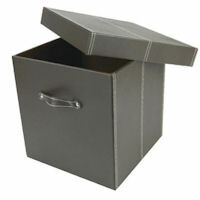 With leather craftsmanship that's second to none, these lovely conker coloured real leather storage trunks make for stylish side / lamp tables in the living room and better still have the benefit of storage within for magazines, those weighty Sunday newspapers or how about for DVDs or perhaps linen or towels in the bedroom. 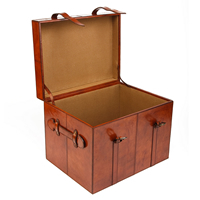 Each set is hand-finished by skilled craftsman and (as shown above) detailed with distinctive leather fastening belts, buckles and handles and a soft lining. 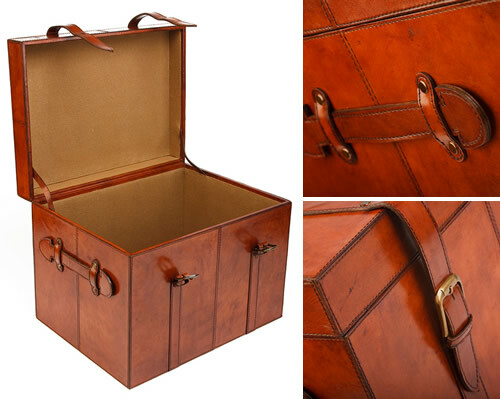 Designed to last a lifetime, this pair of gorgeous conker coloured traditional leather trunks will also improve in look and feel with age as they take-on character. 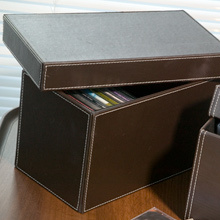 No two sets are quite the same albeit that if you're buying more than one set we will hand select and match the cubes finish for you.